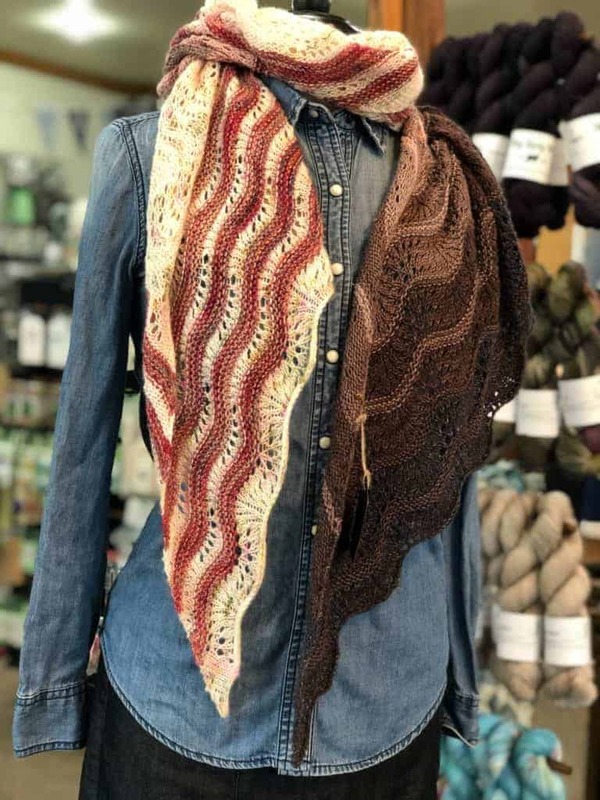 This is the 13th in a series of blog posts featuring the fabulous sponsors of the 2018 Rhinebeck Trunk Show. 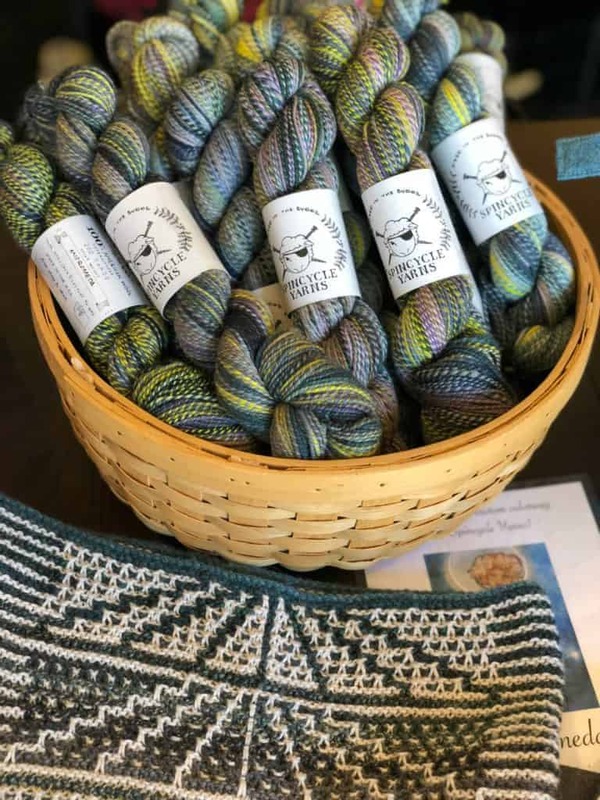 Last November, after I checked out the Saugerties Performing Arts Center and decided it was the perfect new venue for Indie Untangled, I paid a visit to The Perfect Blend Yarn & Tea Shop. 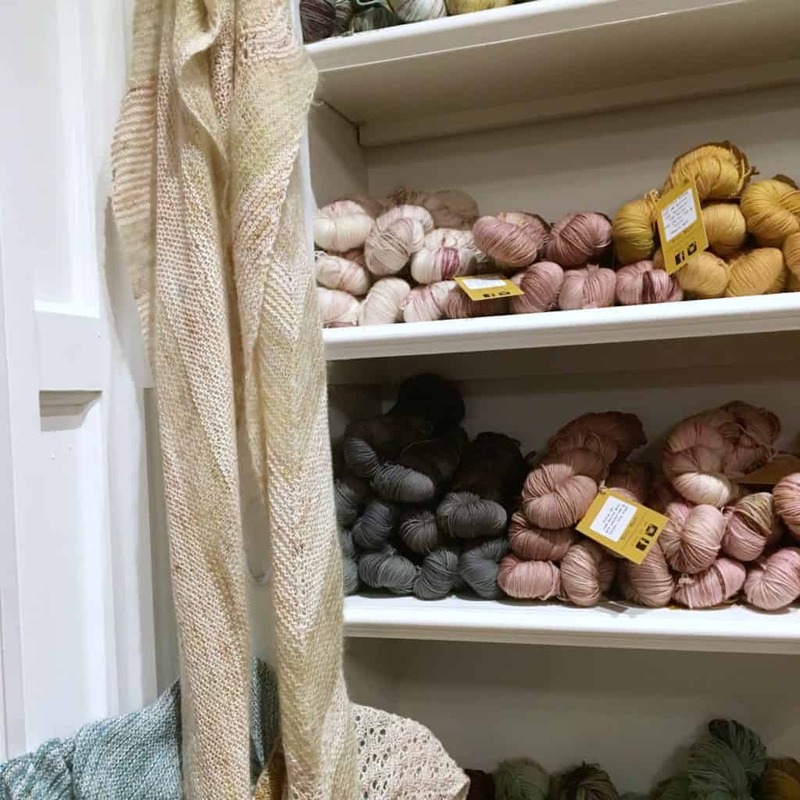 First of all, I couldn’t not pay a visit to a well-regarded LYS less than a mile down the road. 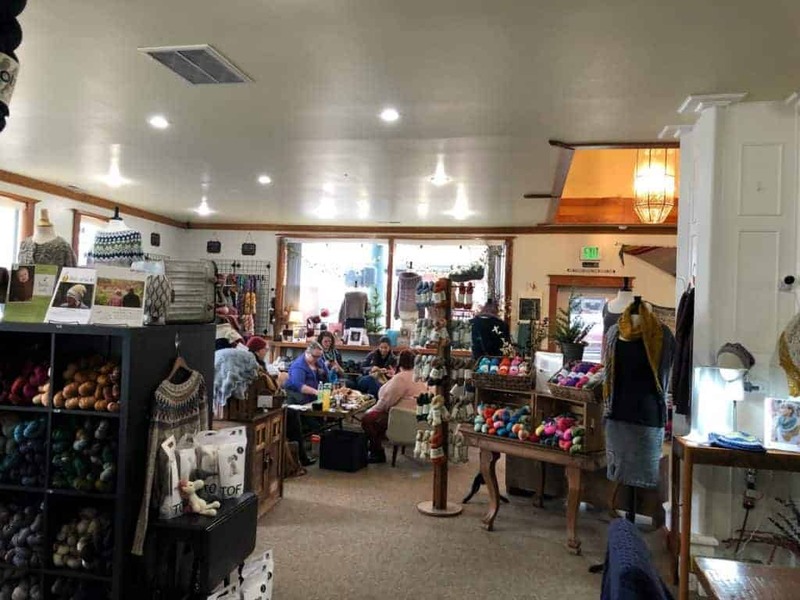 But, I mainly wanted to see what the shop was like before reaching out to the owner, Mary Ebel, about collaborating on the show, which I knew would bring quite a lot of visitors to the little town. Since I hadn’t yet signed the contract for the new venue, I went “incognito,” and didn’t reveal the real reason I was there. Mary welcomed me and my mother-in-law warmly, and she and I chatted like knitting-obsessed folks do about the projects we were working on and hoping to make one day. 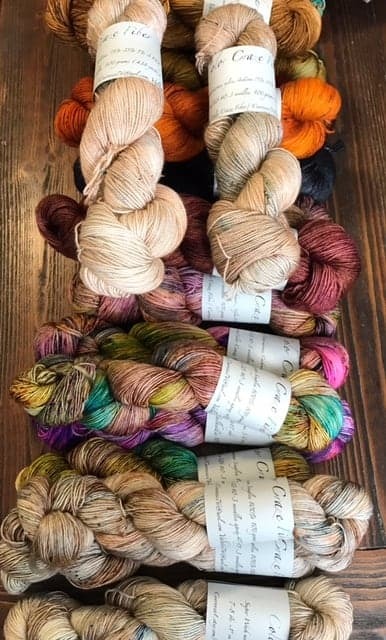 I learned about the yarn club the store runs, with hand-dyed colorways inspired by the beauty of the Hudson Valley. Mary brewed some Harney & Sons tea for us to sample and I picked out a colorful navy, teal and orange basket that now holds all my WIPs by my living room sofa. Later, after I reached out to Mary and revealed the true reason for my visit that day, she became an indispensable part of the planning team for the fifth annual Rhinebeck Trunk Show, connecting me to local resources and rallying together the local merchants to give Indie Untangled visitors a warm welcome not unlike the one I received during my first visit, with a free shuttle service, sit ‘n’ knit stations and even an after party — plus a little yarny surprise. 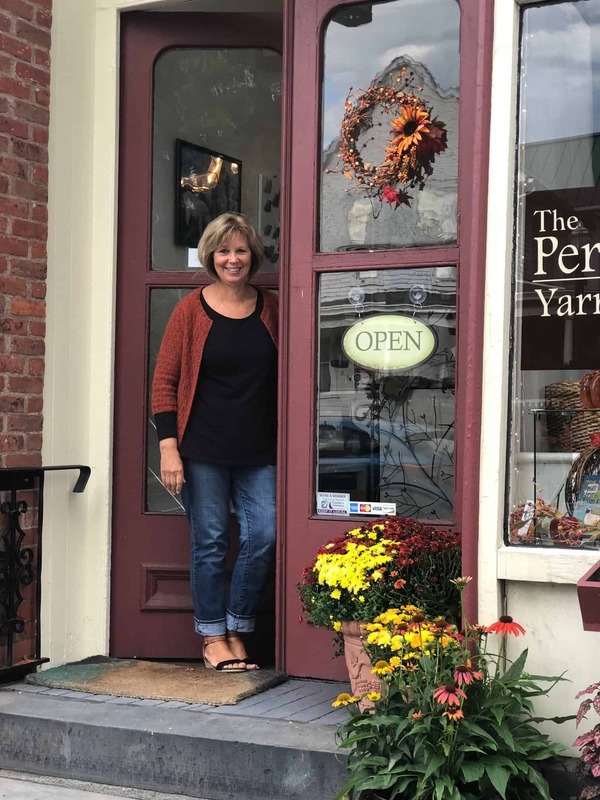 I recently learned a little bit more Mary about how she became the owner of one of the Hudson Valley’s loveliest yarn shops. Tell me about the decision to open The Perfect Blend. 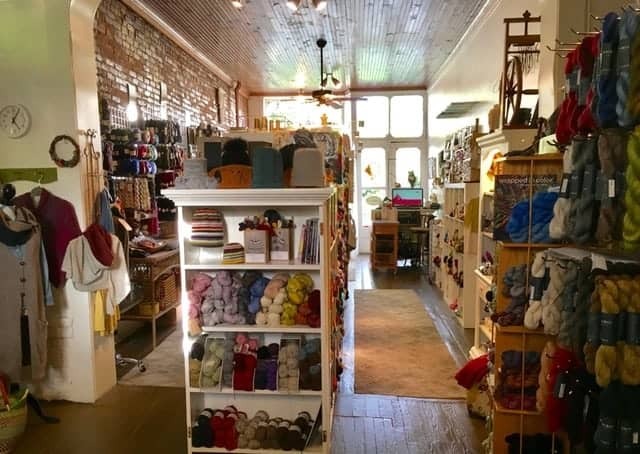 Was running a yarn shop a longtime dream of yours? 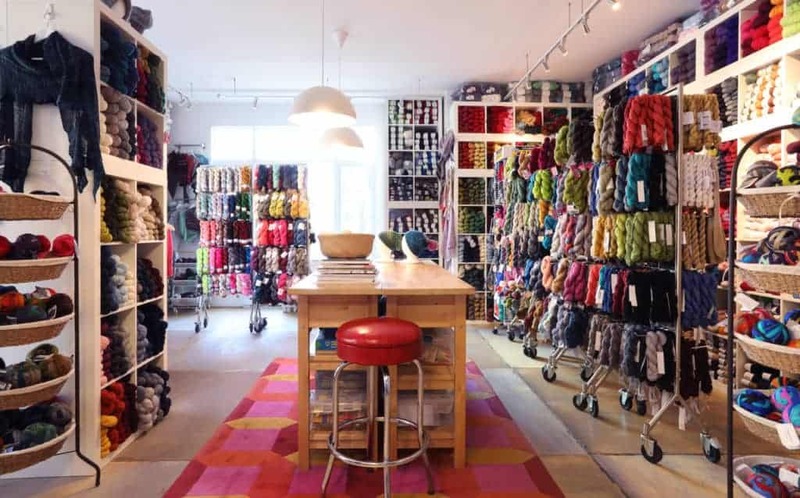 Yes it was a long term plan — as I imagine lots of knitters have dreams of opening a yarn shop, too! Fortunately for me, I had the support of my family and friends to make it happen. 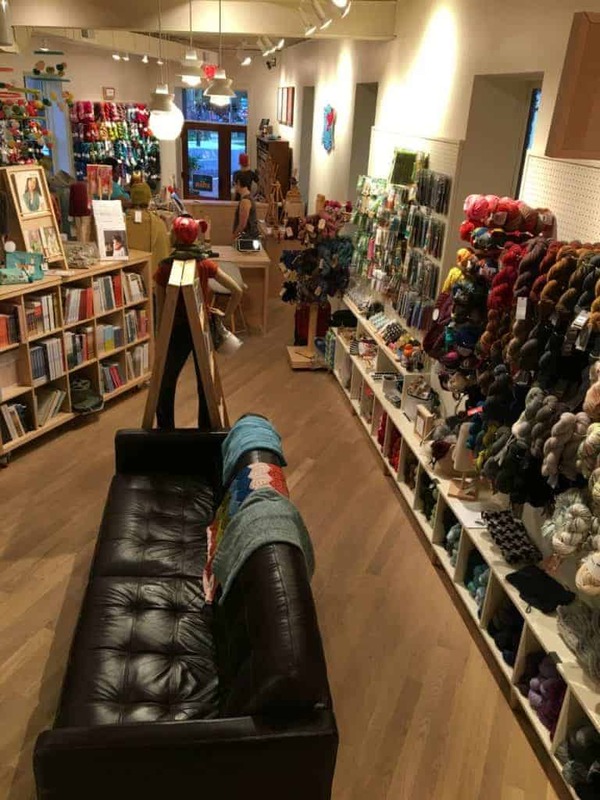 My husband retiring early from law enforcement and taking on a second career in sales allowed me to leave my full-time job and pursue this yarn shop dream job (though I dreamed it much differently… I thought there would be time to sit and knit). 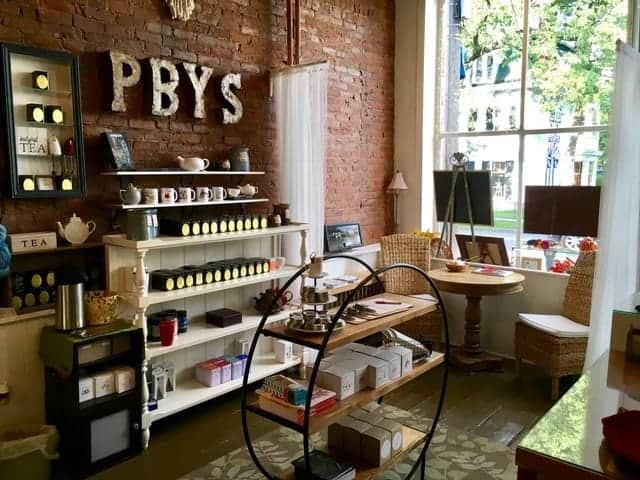 After eight years of teaching friends at home and my husband settling into his new career, I “retired” and opened a shop. Seemed everything fell into place as I worked towards the opening. 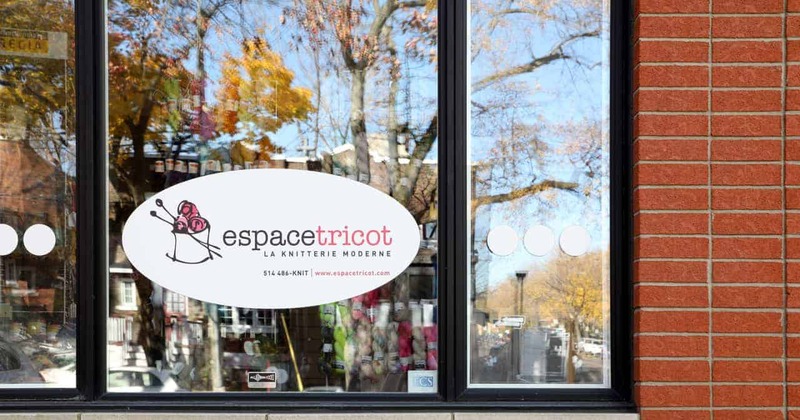 The location, in the small village of Saugerties, was the only storefront I looked at. And it’s perfect – a bit rustic with brick wall and charming atmosphere. 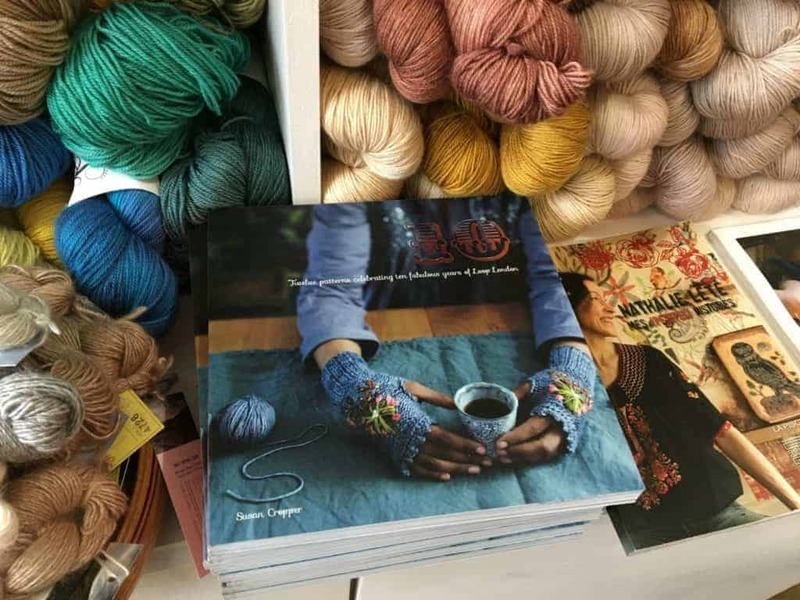 Why did you decide to focus on yarn and tea? 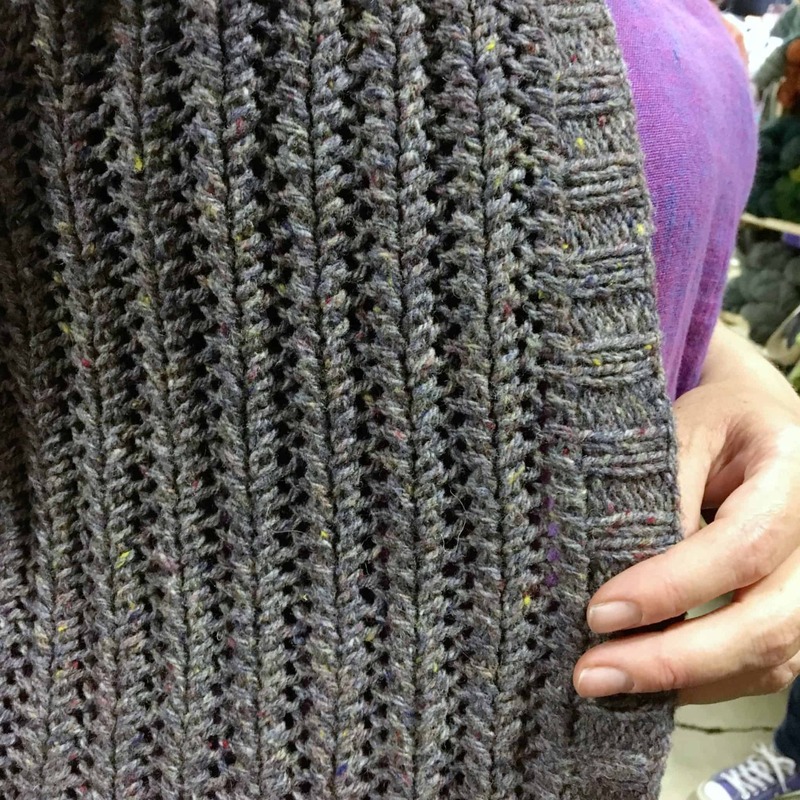 Growing up with a family of makers, my mother was always knitting, but she also, sewed, crafted, tried just about everything — except cooking. My dad, an engineer, loved building, woodworking, fixing things, problem solving. He and friends built our family cottage in Maine in 1950s. There are seven of us “kids” and we were all encouraged to learn a craft. For the last 30 years or so, our family Christmas has been handmade. We make something six times, one for each family member. It’s creative and fun! 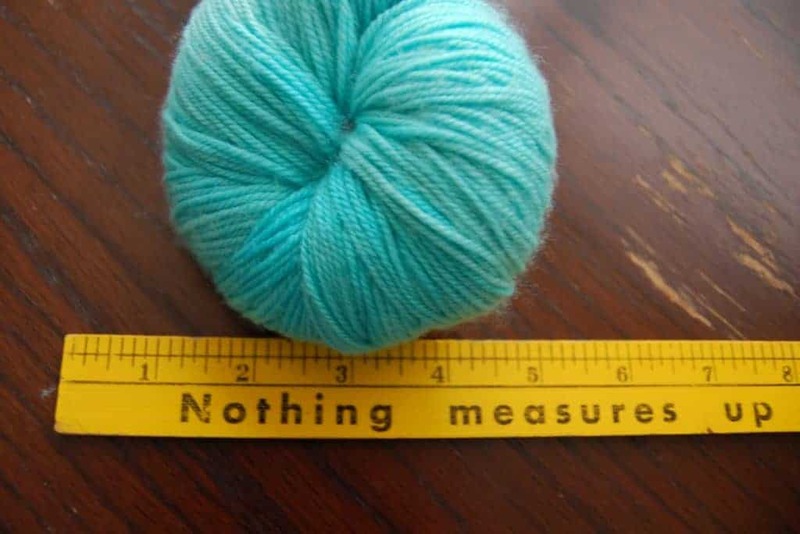 Though each of my siblings have some sort of hands-on crafting talent, mine was knitting. 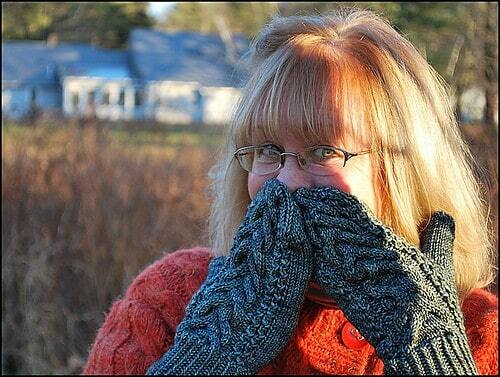 I have sweet memories of knitting with my mother during quiet early mornings in Maine. I love knitting, and teaching people to knit. And the tea: well, a few reasons. 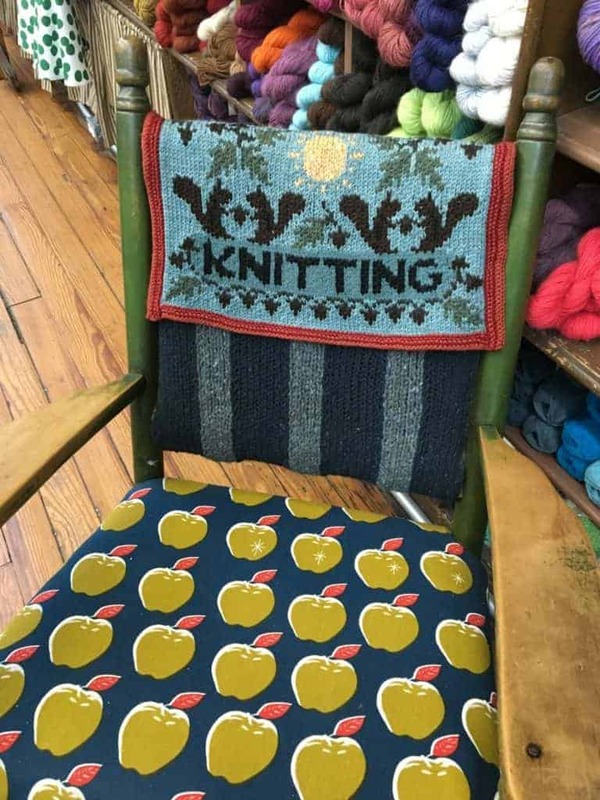 First reason was I wanted something other than yarn to bring people into the shop. 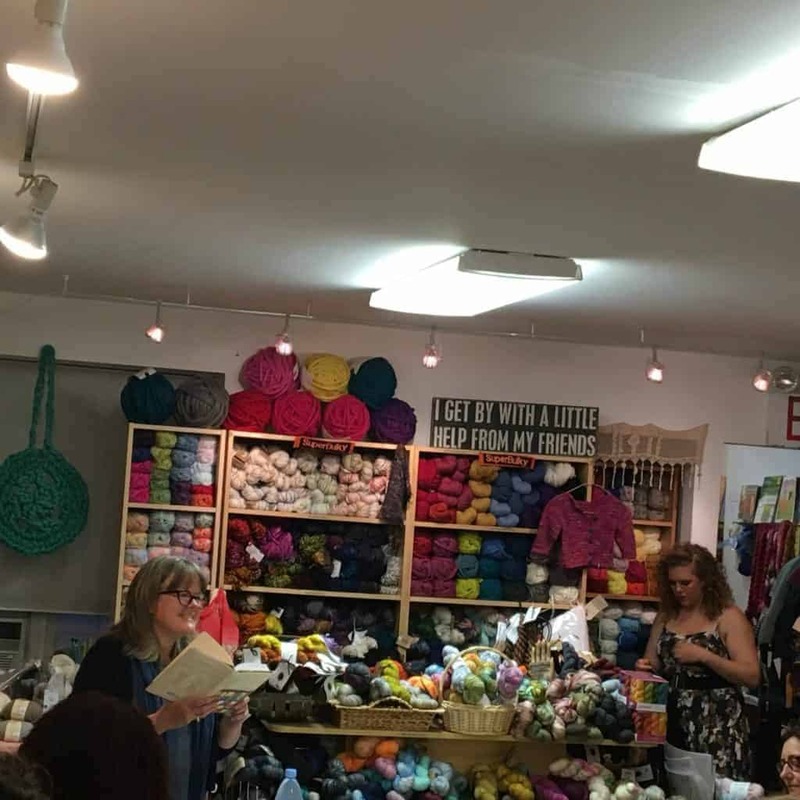 Turns out, that was a good decision — they’re looking for tea, and wouldn’t normally walk in a yarn shop, then discover the beautiful yarns, and talk about how they “always wanted to learn” … ”Oh, and you teach classes?” And bam — new knitter! We’re Irish and there are lots of tea drinkers in the family. The tea kettle is ON when we’re together, from early morning to late at night! As with knitting and crocheting, making tea is slow process – it’s peaceful and calming. It’s what you do to relax and unwind, or to help you feel better. 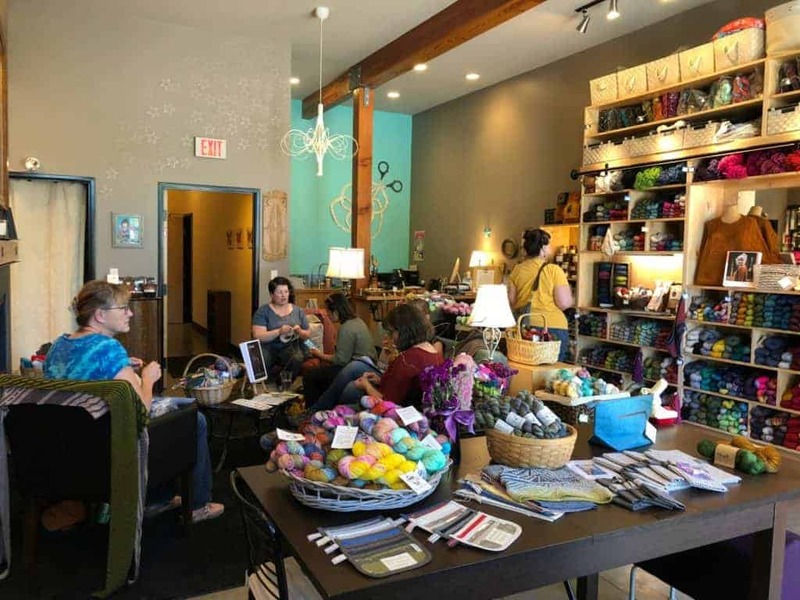 And it all works with The Perfect Blend: of yarn, or tea blends, or of the community of knitters and crocheters. 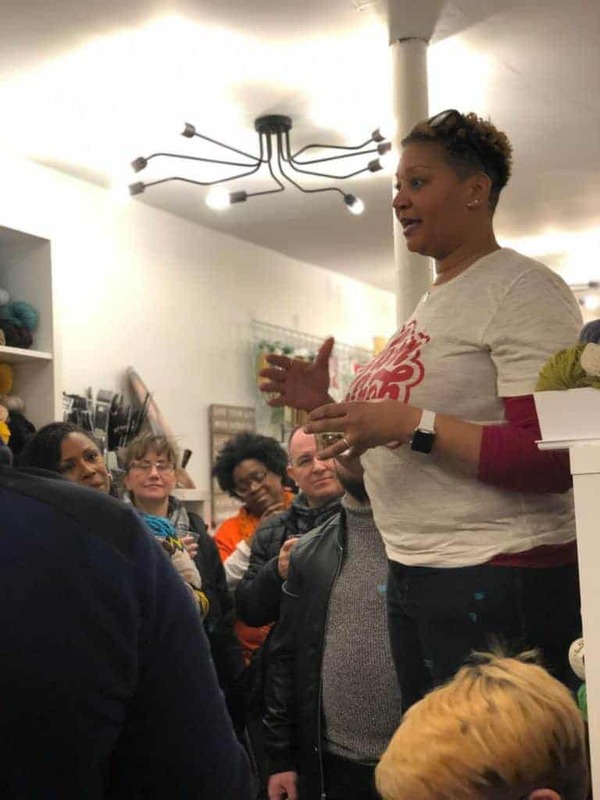 What you do before you became a yarn shop owner and how do you think it informs what you bring to the business? Prior to opening the shop, my career was in human resources. 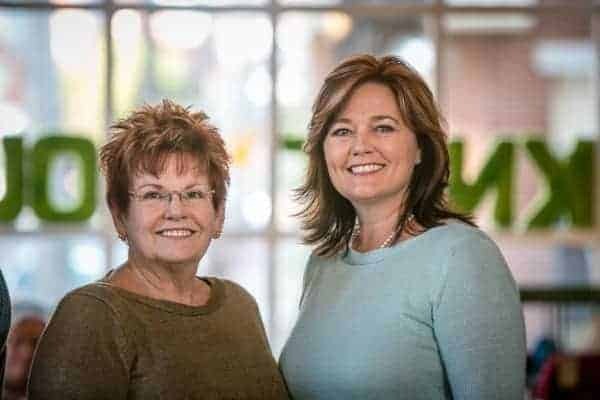 The last 13 years in benefits and employee relations for our local hospital system. Though my background did not include retail or anything in the fiber world, I’m a good listener, confidential and love to help people. My position at the hospital was to serve the people that took care of people, helping them resolve an issue so that they could get back to their jobs of patient care. That’s why an LYS is better for me than an online store. Though we tried for a few months last year, it’s not for me, and most of our online sales happened in the shop. We like the interaction with our customers and have fun! 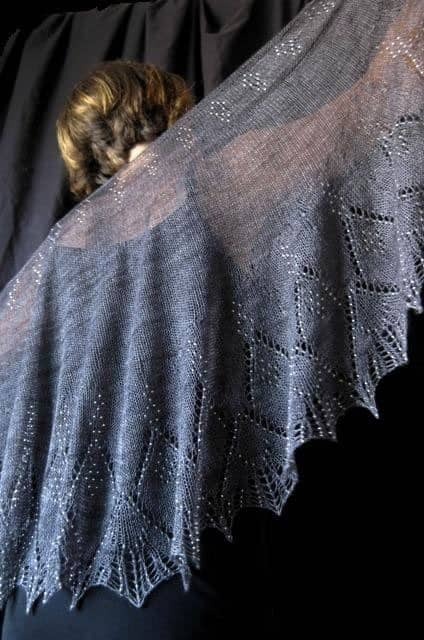 And just like HR, we don’t discuss politics and we’re confidential — I won’t tell anyone how much yarn you bought! 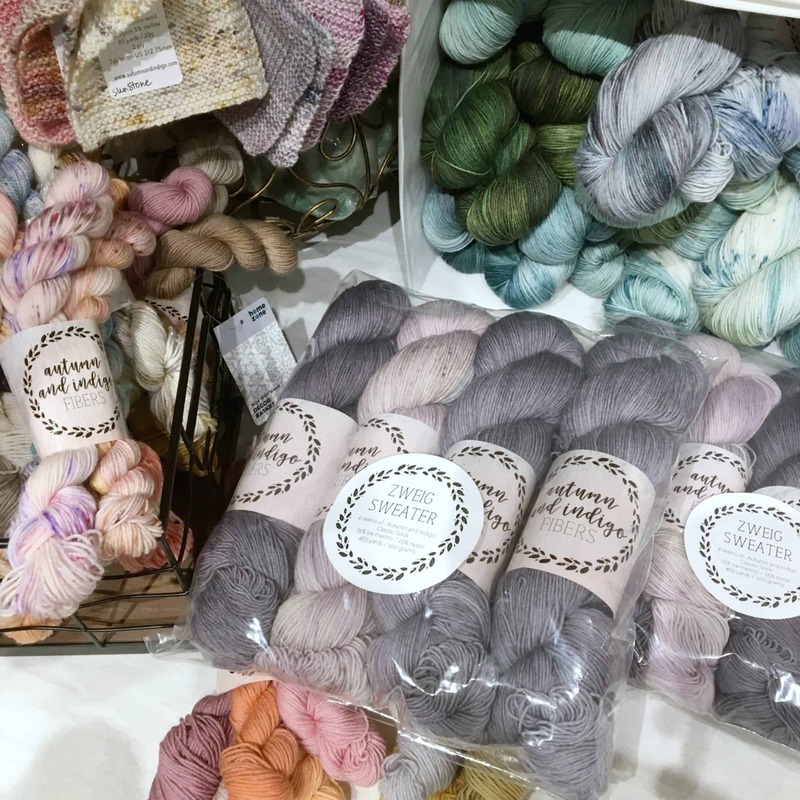 Why did you choose the dyers and brands that you carry? The brands and the products change over the years and will continue to. 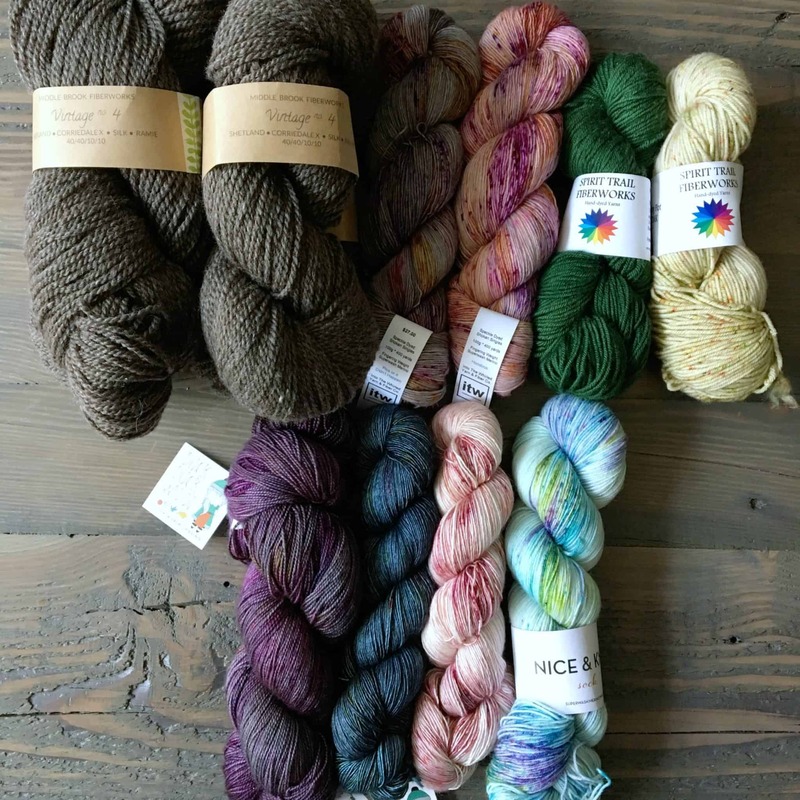 We started carrying basic, core brands that I was familiar with: Cascade, Noro, Classic Elite, etc. In the beginning, I used the advice and guidance of reps for what to buy and what was trending. 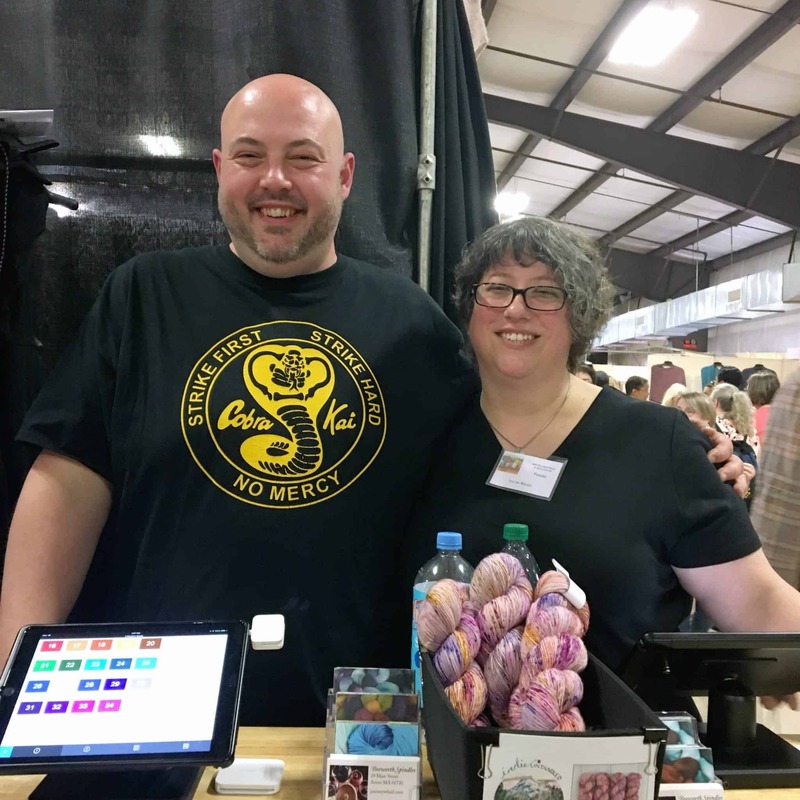 Now, I research myself, attend TNNA and always listen to my customers. 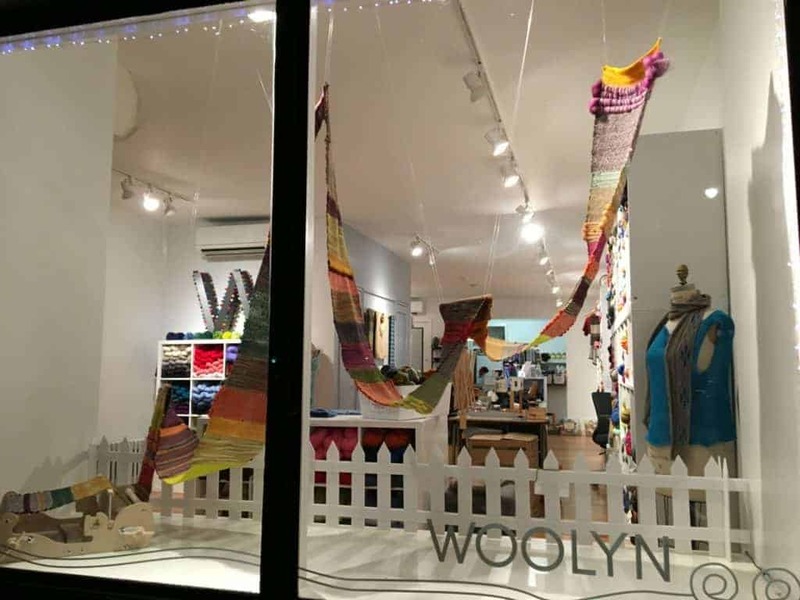 As we evolve and grow our shop, the yarn choices will change too. There’s always something new that we must have! 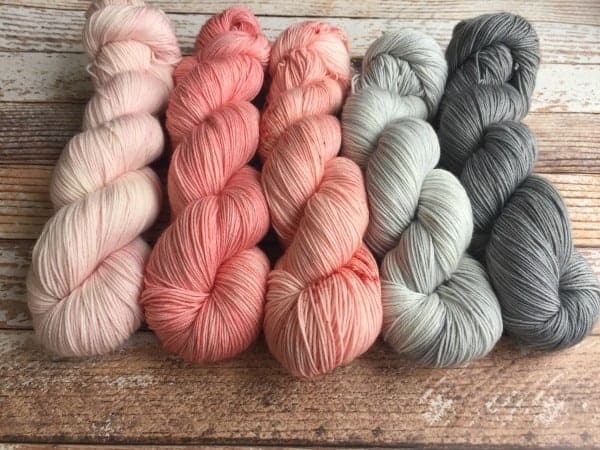 Although we carry many classic yarns for the projects you’ll have 10 years from now, we do carry a variety of yarns, not novelty, but some trendy yarns for our adventurous knitters and crocheters. 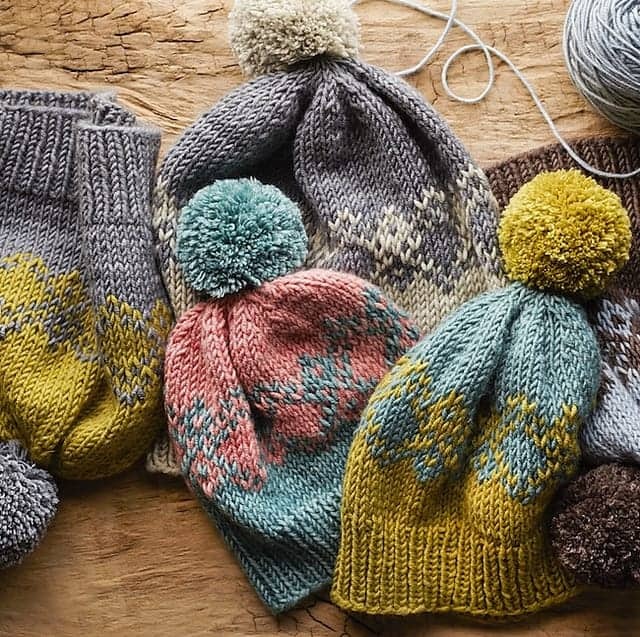 From Cashmere and yak to cotton and wool, and lots of perfect blends in between. Hardest question right here! There are so many talented designers, who could ever pick a favorite? 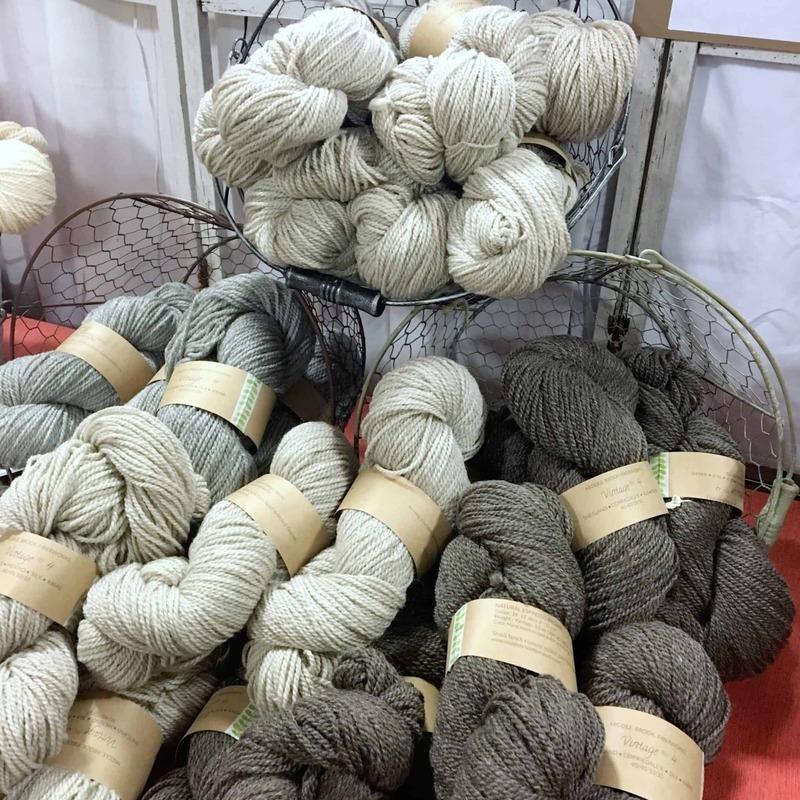 We met a few new vendors at TNNA trade show in June. Gleeners recently arrived and we’re planning a demo day soon. 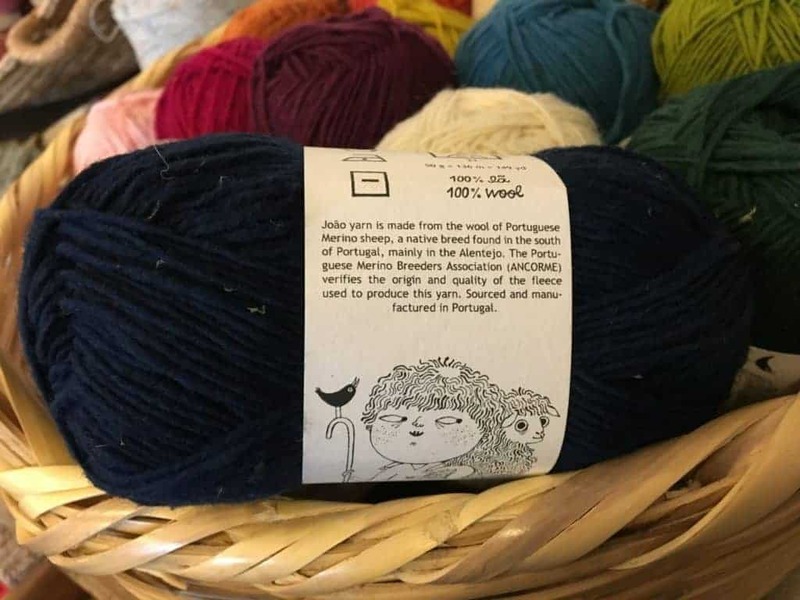 We’re also bringing in some fun products from Knit Baah Purl — sheep-y wine glasses, mugs and notecards. 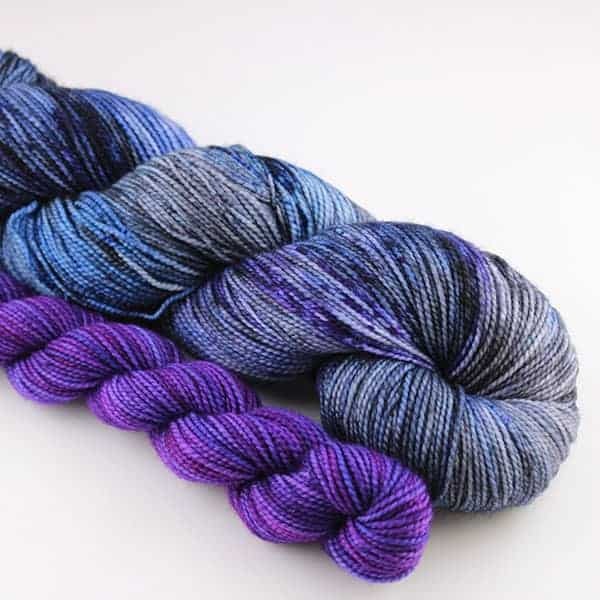 We’re also xcited to bring in Dragonfly Fibers. 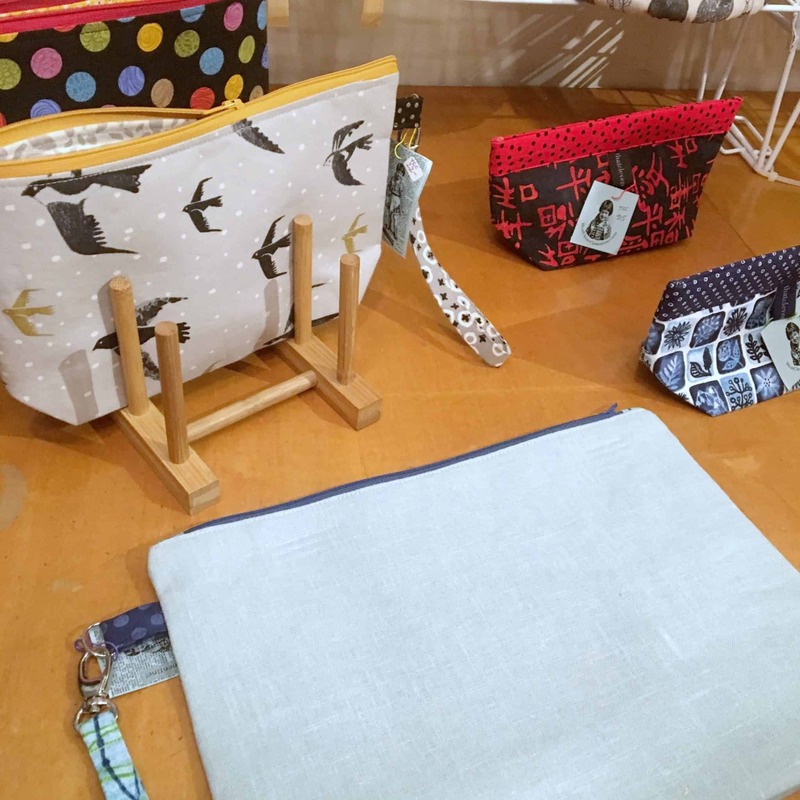 As for special events, it doesn’t get any better than having Indie Untangled Rhinebeck Trunk Show a half-mile away from the shop! 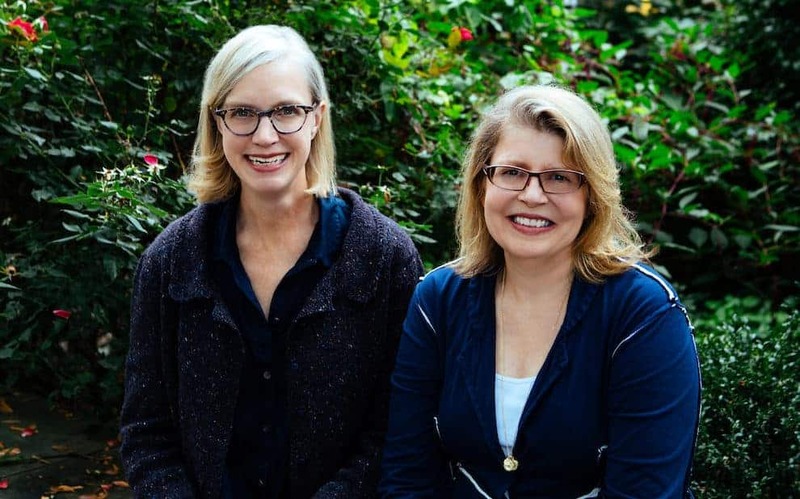 We’re thrilled and super exited to have this event come to Saugerties! 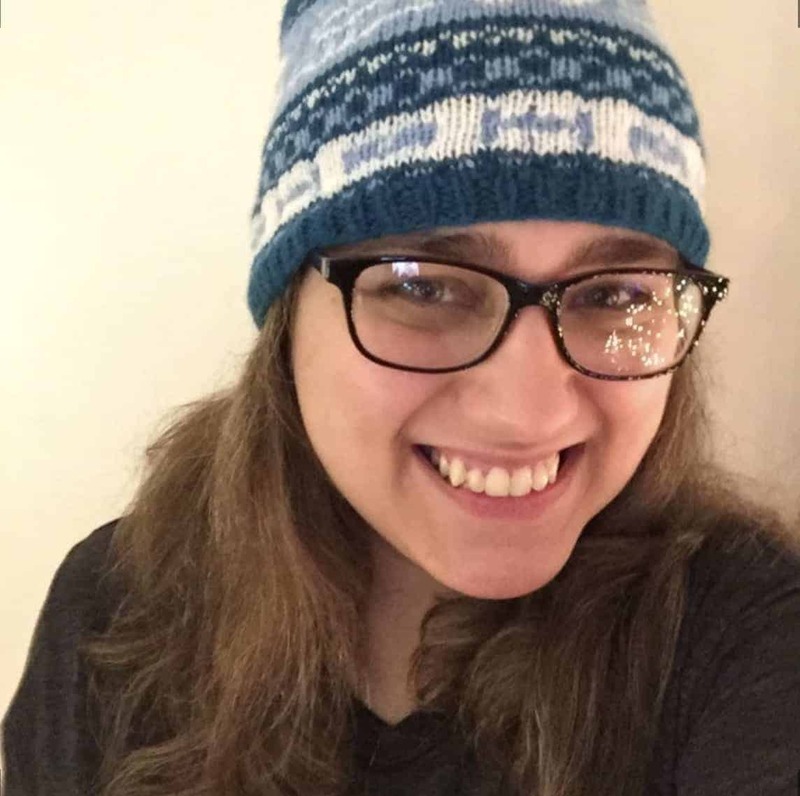 Through the years there were definitely many proud moments when I discovered a new technique, such as German short rows, or when I made my first sweater, or did Fair Isle for the first time, and a cabled sweater. 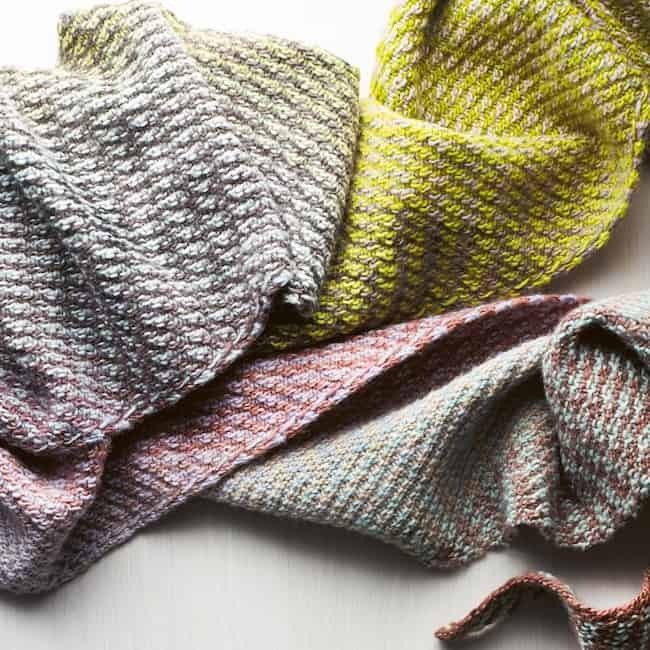 After all these years there’s always something new to learn — that only another knitter can be excited about, too! 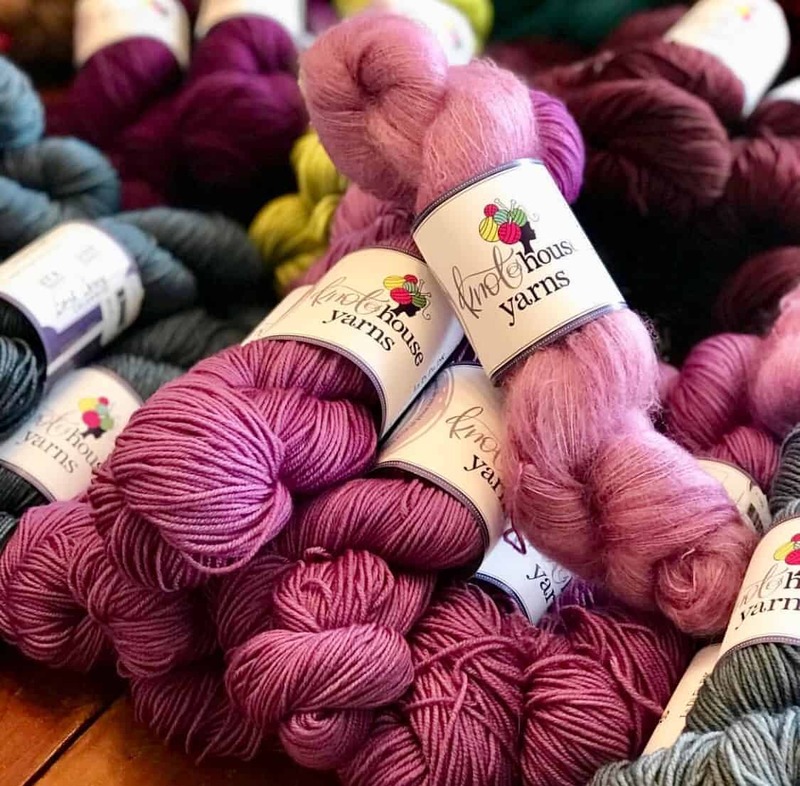 This is the 11th in a series of blog posts featuring the fabulous sponsors of the 2018 Rhinebeck Trunk Show. The Knot House in Frederick, Maryland, is an LYS that really supports indie dyers. 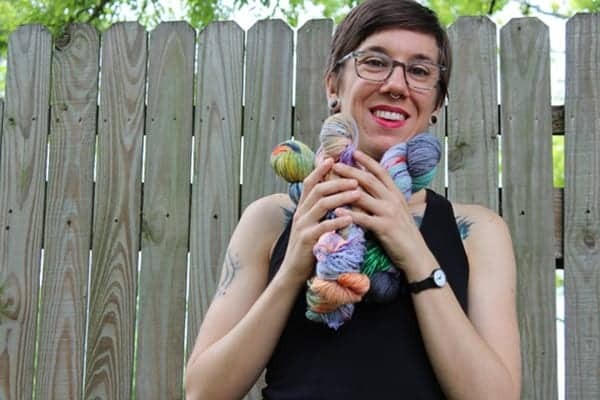 It’s where trunk show vendor Dami of Magpie Fibers learned to knit and launched her company and always showcases the latest and greatest at their indie pop-up during the Maryland Sheep and Wool Festival. Hu Made. 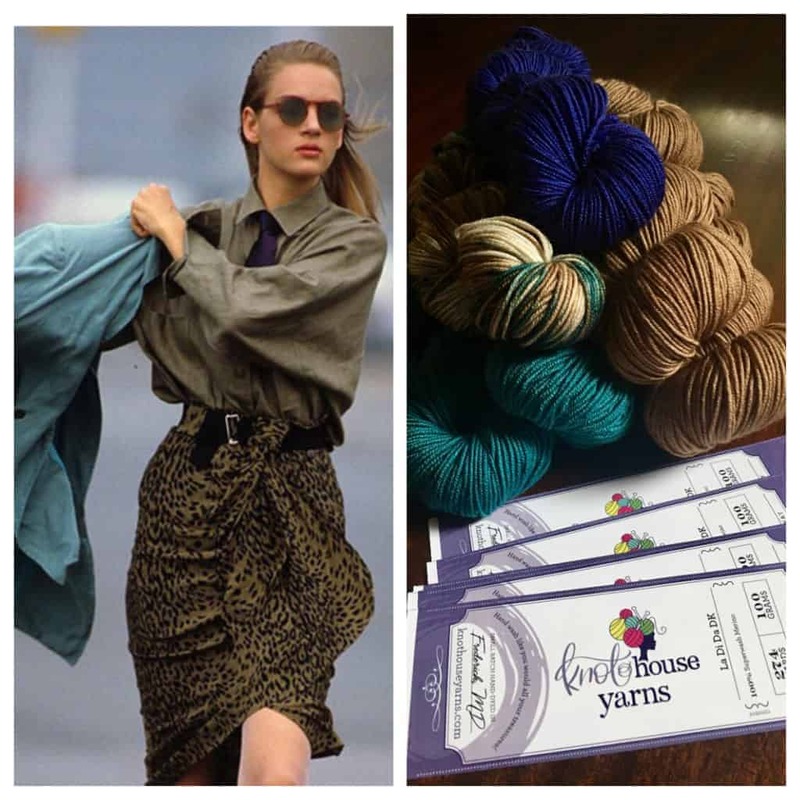 We haven’t met Amanda, so we are looking forward to meeting her and seeing her yarns in person. 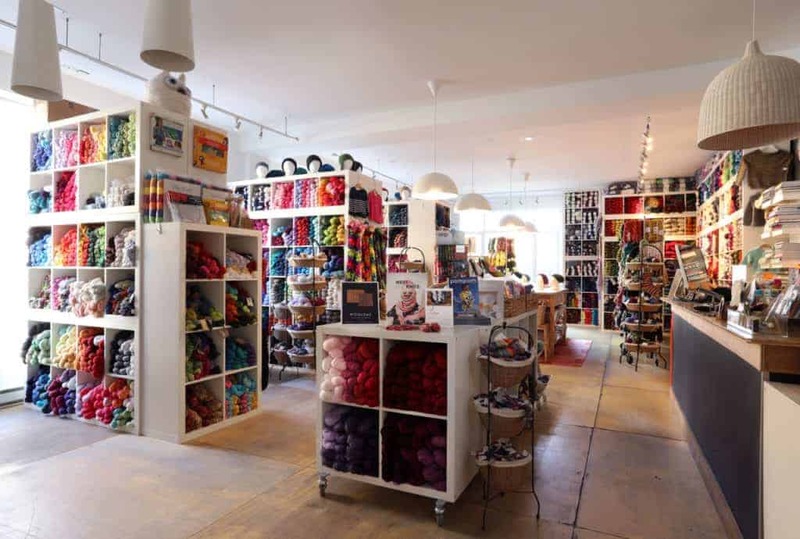 1) Nice & Knit – We love their Sock and DK. They have great colors and are just a pleasure to work with. 2) Chasing Rabbits – Love the Sock and her colors. I have to give myself a plug here. 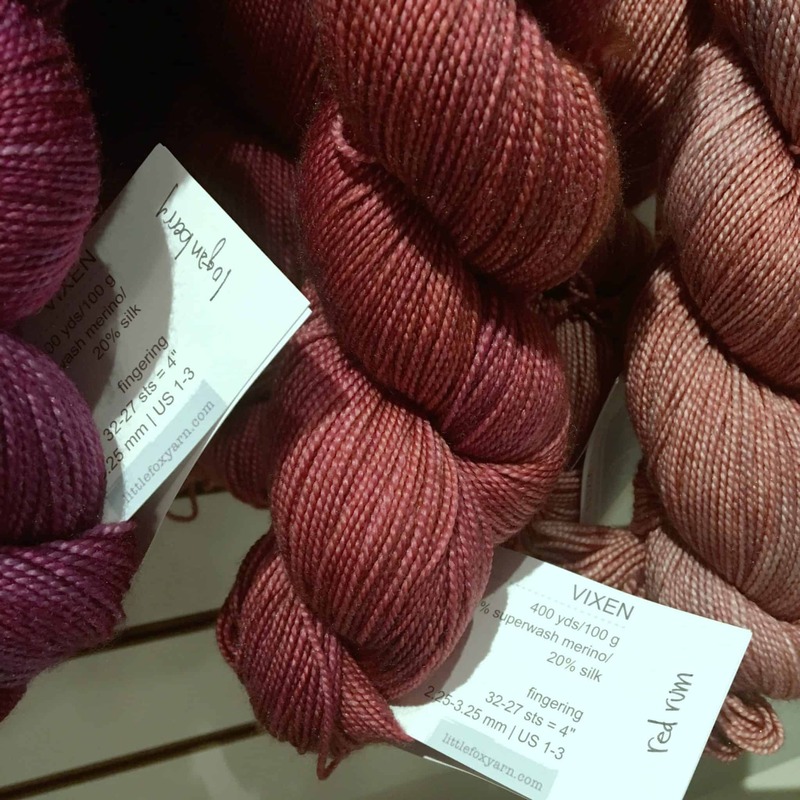 We have our own hand-dyed yarns now. 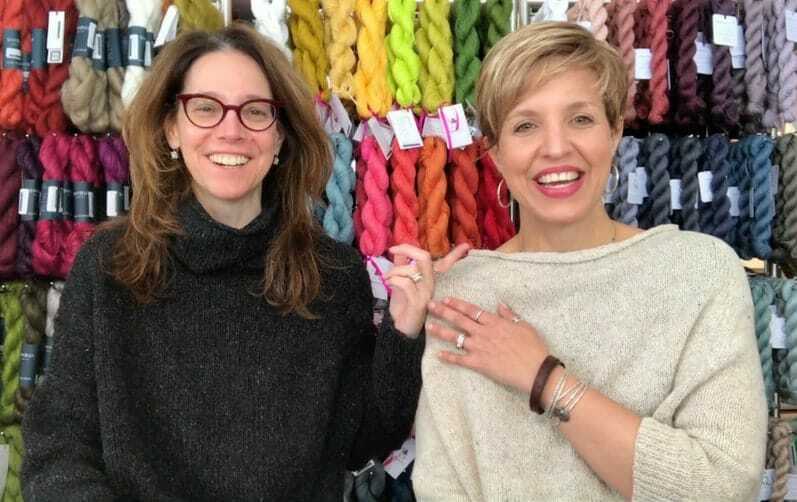 We launched our La Di Da DK and Mo Debonair Mohair earlier this fall. With the focus on sweaters, we have focused on tonal solids. 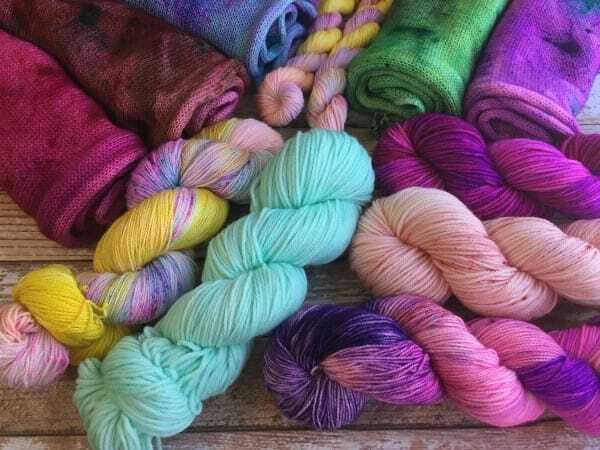 How did you decide to dye your own yarn? I don’t really know. I had thought about it before but never really thought of myself as an artist. But Mom and I thought I should try to supplement the shop. So Mom ordered yarn and I ordered dye and got started. 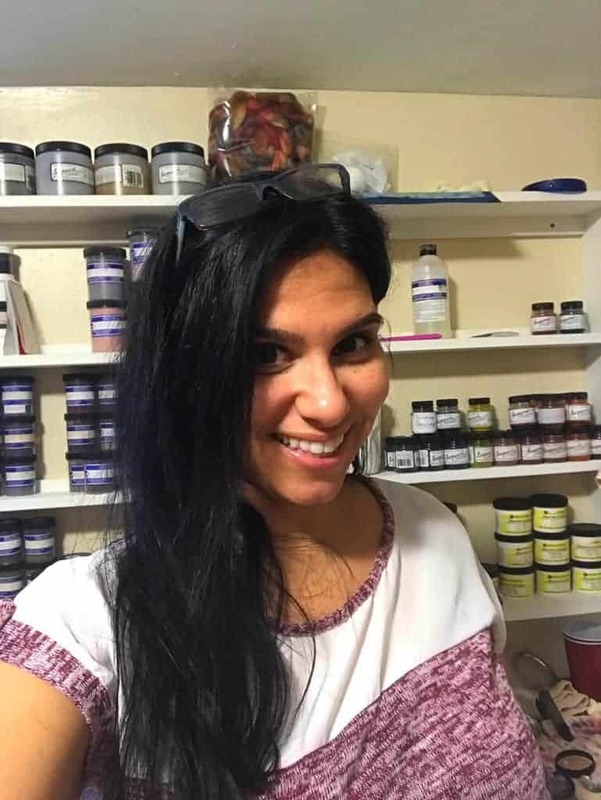 I currently dye in my home kitchen but we are working on building out a small studio in the basement. I have always loved textiles and have been known to spend way to much on decor fabrics. I love a room done well with pops of color. So I get a lot of inspiration from home decor pictures and fabrics. I also love timeless fashion. Matter of fact, I took a picture of Uma Thurman in the streets of NYC in 1987 and used it to come up with a small collection. In my option, yarn colors have to be truly wearable. 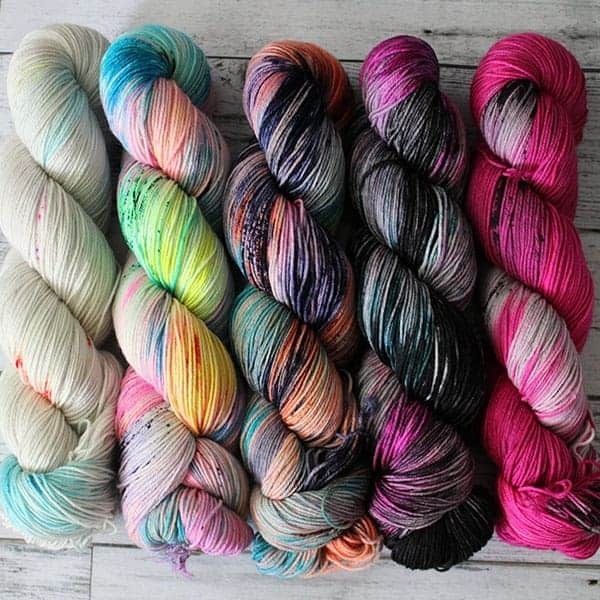 I will be doing a sock weight in variegated fun stuff soon! 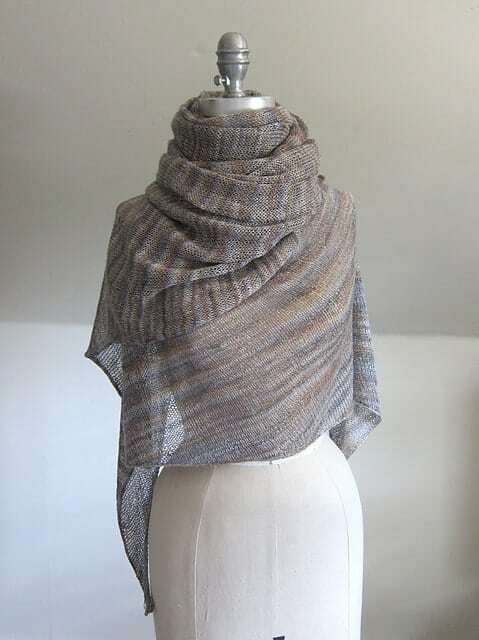 Not exactly sure yet, but I’m sure Mom and I will both be wearing something from Boyland Knitworks and/or Andrea Mowry. 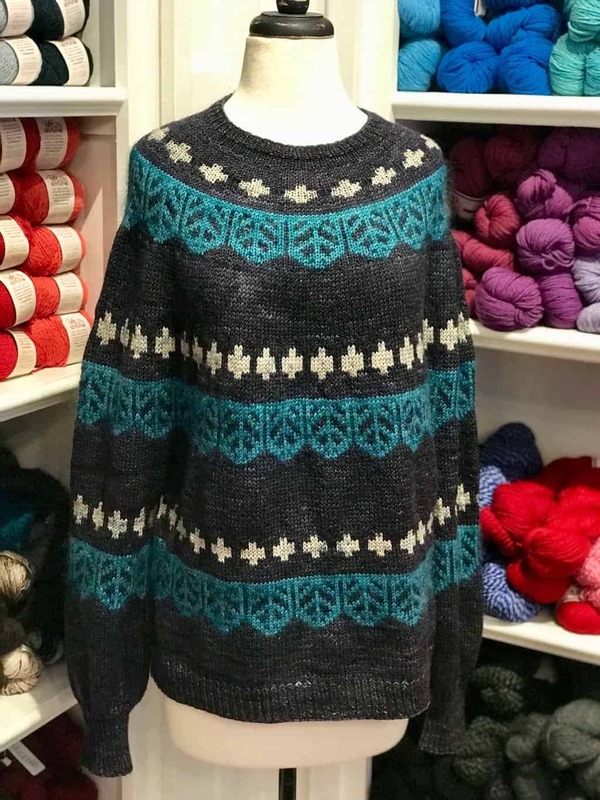 An FO of Caitlin Hunter’s Tecumseh. Tecumseh and The Throw Back! 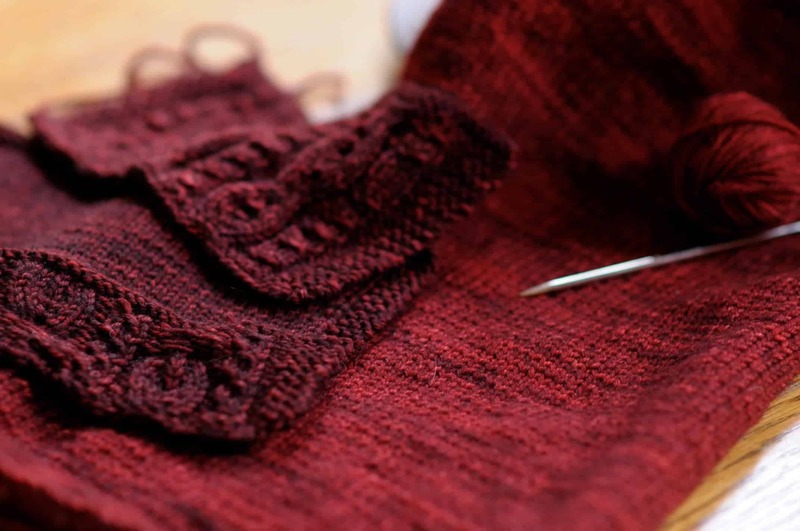 Mom is working on Caitlin’s Ramblin Woman Cardigan [a pattern that is debuting at Indie Untangled] using Knot House La Di Da DK. 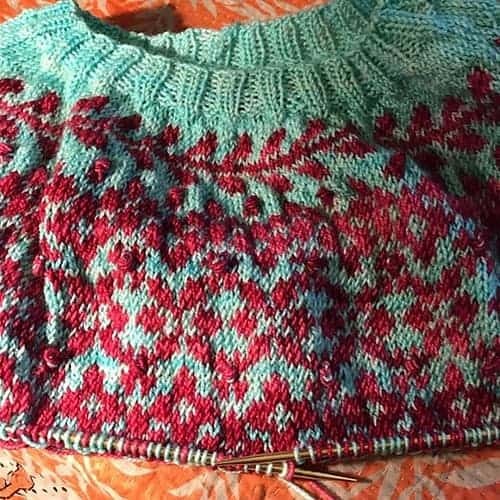 I am working on Millie by Nice & Knit and the Aim True Hat by Caitlin Hunter. 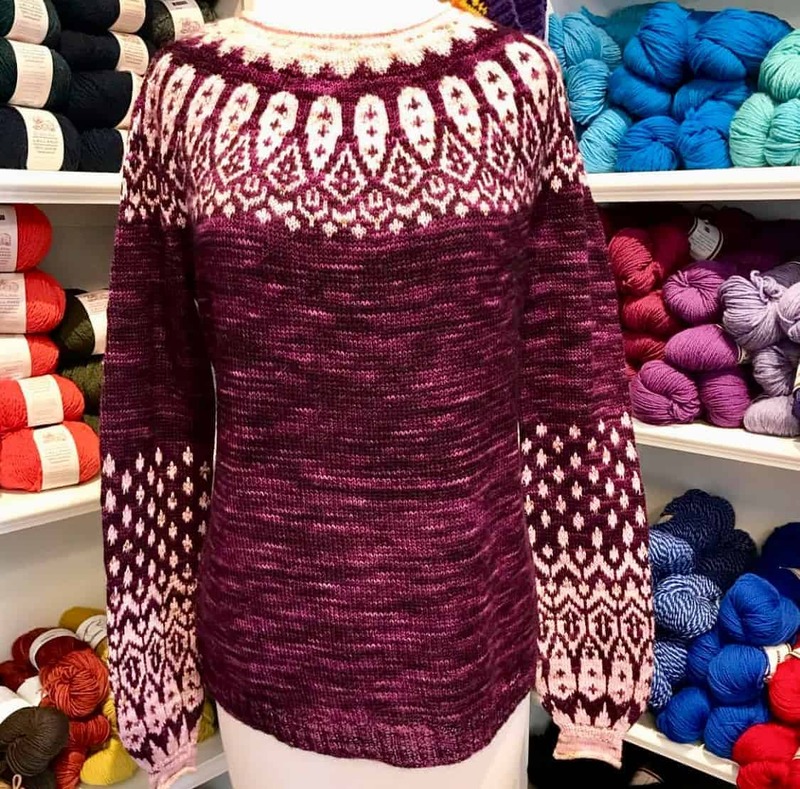 I think mine is still Sunset Highway and Mom’s is her Sipila sweater. Feeling a bit more earthy? Me too. L to R: Metalware; Don’t Be Ranunculus; Claire; Jamie; Light the Lantern, Make a Wish. Some of them were impulse buys, like the not-pictured Jill Draper Kingston, which I guess technically wasn’t an impulse buy since the color I wanted was sold out and I ended up buying it on Etsy Tuesday. Aside from stashing, I also had fun taking everything in and spending time with my fiber friends. The weekend started as it usually does at The Knot House indie pop-up. Well, it started with an amazing dinner at Black Hog BBQ a few blocks away. Then, after making sure my hands were completely clean of sauce, I petted the yarn. The Friday night kickoff party was a much calmer affair than last year thanks to the early bird shopping that I couldn’t make it in time for. It was a nice atmosphere for chatting and snapping photos. After snagging my Vintage No. 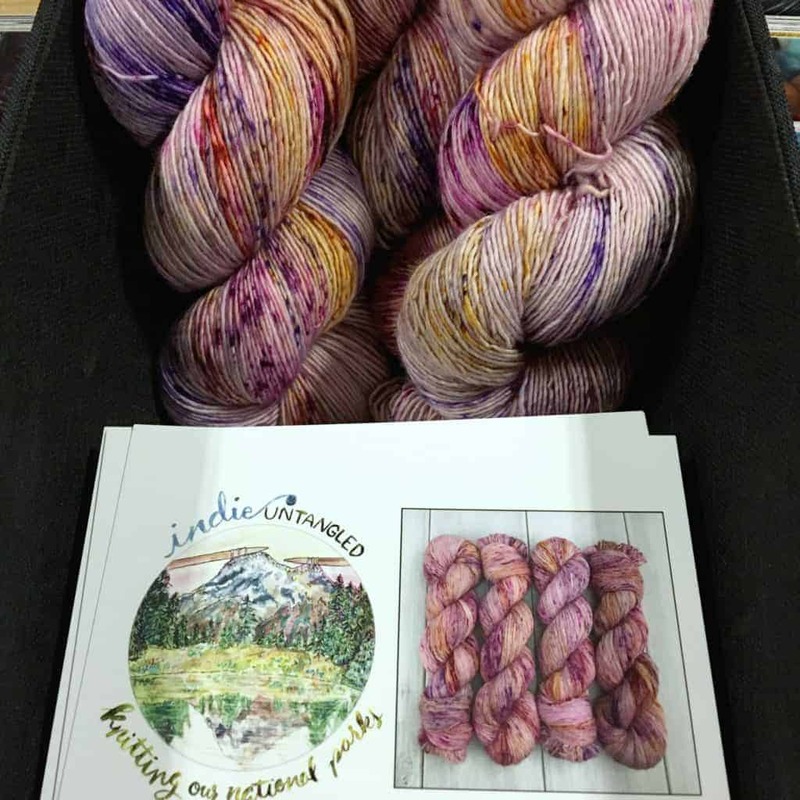 4 (which may become a Charlie’s Cardigan), I visited the Into the Whirled booth to see the Bruce Canyon-inspired Hoodoos in person and admired the rest of Cris and James’s new speckles. Saying Hi to James and Cris of Into the Whirled. 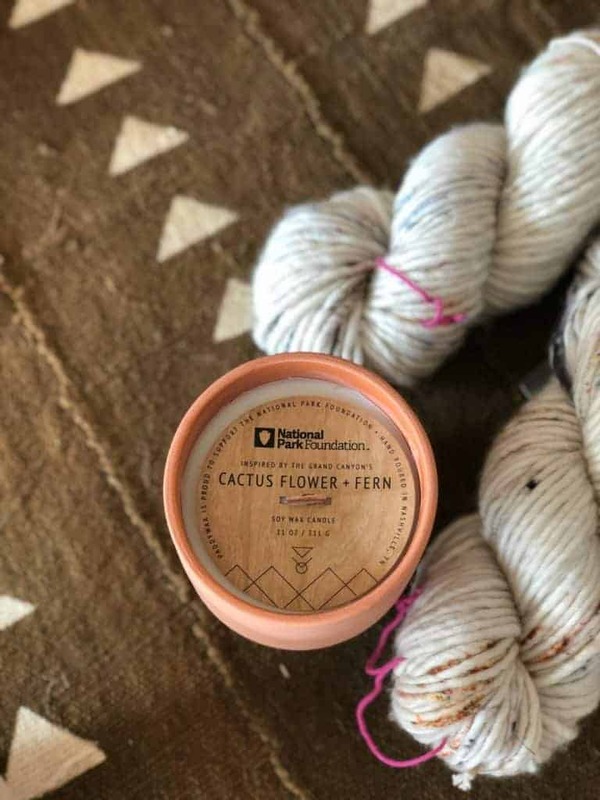 Into the Whirled Bryce Canyon-inspired Hoodoos colorway for Knitting Our National Parks on display. 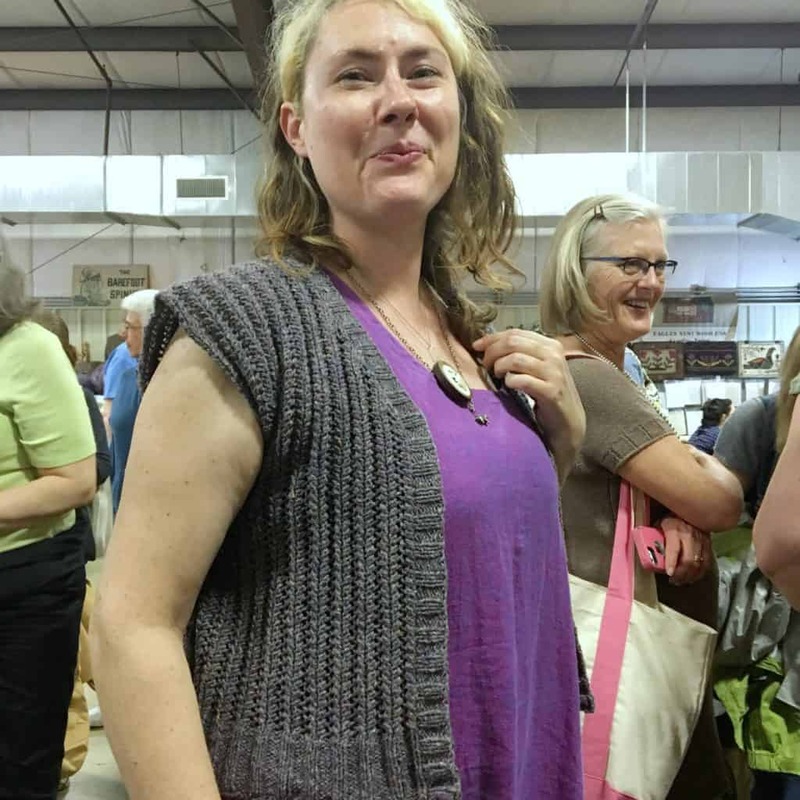 Jill Draper models a cute short sleeved cardigan in her new Kingston base. A close-up of Kingston, DK-weight Targhee wool from NY’s Finger Lakes.